When it comes to settling in Switzerland, there are as many different experiences as there are people. Each story is unique, including mine: My first days here were spent working in a Swiss bar in a small mountain village in the Bernese Oberland. Not knowing some of the strange customs, let alone having heard Swiss German before, my first weeks in Switzerland were shaped by more than one funny moment… Can you imagine a Latvian trying to hustle a local Swiss bar from behind the counter? Welcome to my collection of curiosities and misunderstandings! Why is he asking me for a rod? I am working at a bar, not at IKEA. And what in the world is a Herrgöttli? Ok, I get it. It’s something white, but what exactly is it that they want? Note to self: Suuri Zunge at a bar is not a pack of sour candy! Customers decide whether or not they like you from your facial expression when you ex a shot of Appenzeller. The combination of hammer, nails and getting drunk does not scare the Swiss. The game Stump has been (and will be) here for good. s'Röteli is not the same as s'Roote (unless you want to serve liquor instead of wine). It's fun to start shouting "Nei, nei, nei" when they’re saying "Prooost"! How to piss off someone from Valais? Tell them that other regions of Switzerland make good wines, too. Me: "Why are we placing these guests in the corner?" 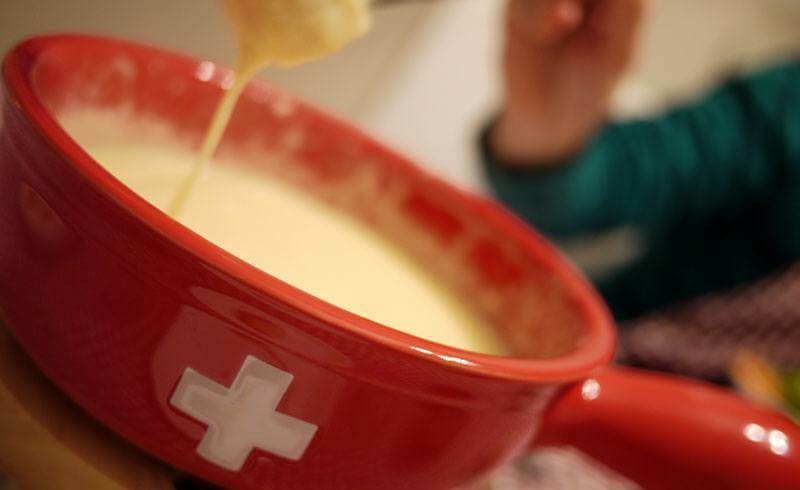 Colleague: "They're having cheese fondue..."
One can't imagine an après-ski in Switzerland without a Kafi Luz! But the best thing of working in a Swiss bar? The view, of course! Kristīne is a Tourism Organisation and Management graduate from Latvia, currently living in Bern. She is into travelling, photography, handicrafts and online marketing. She doesn't spend the weekends home, and she will never say "no" to an invitation to go hiking in the mountains.